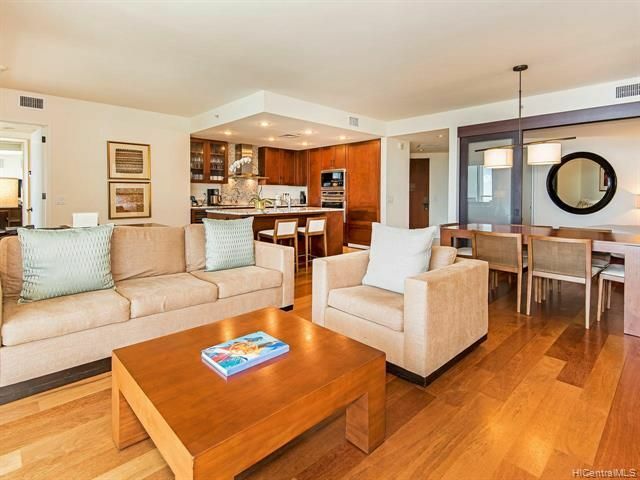 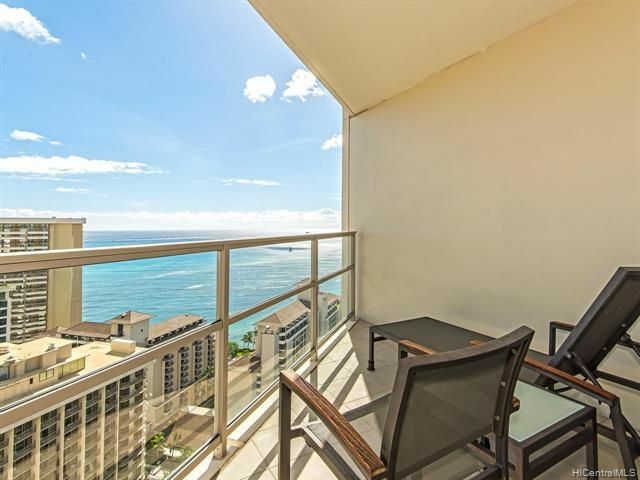 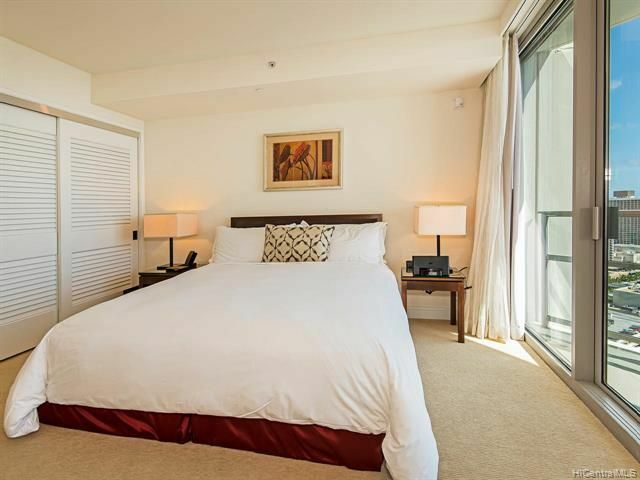 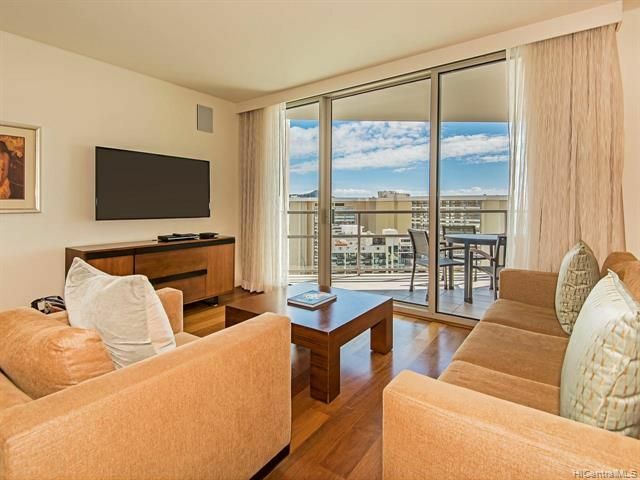 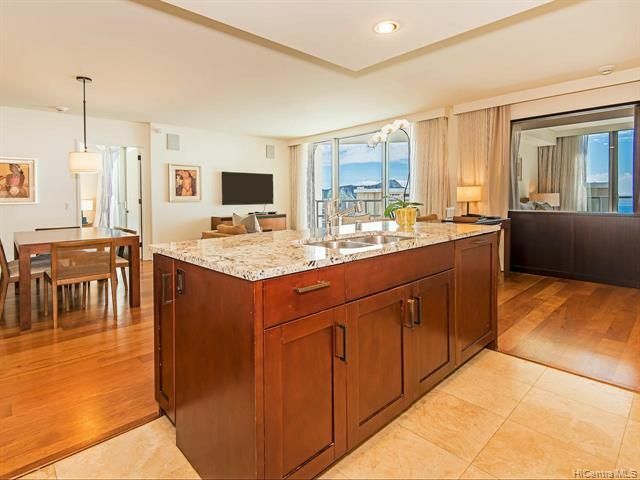 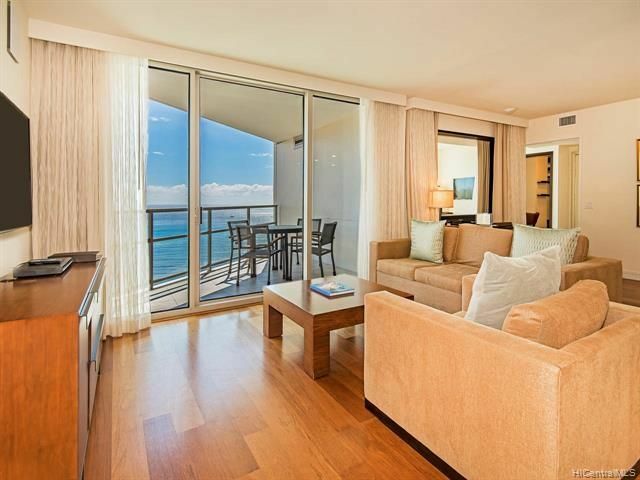 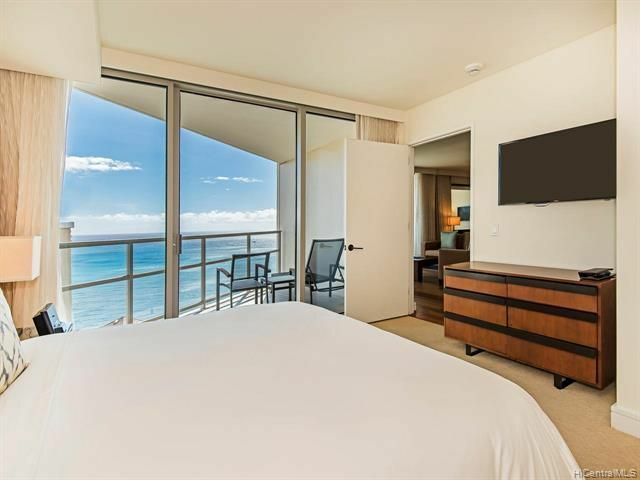 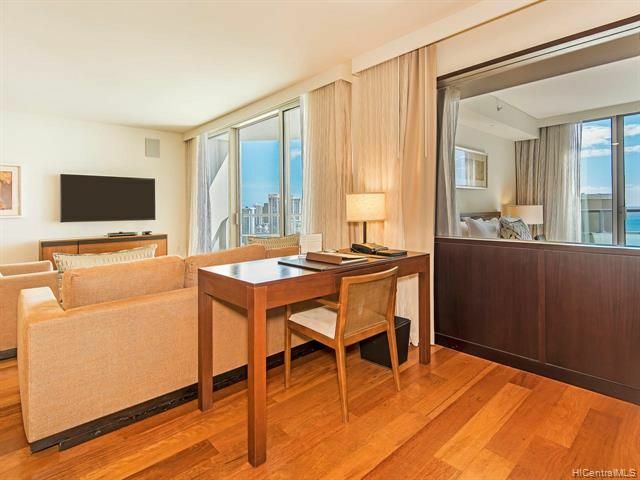 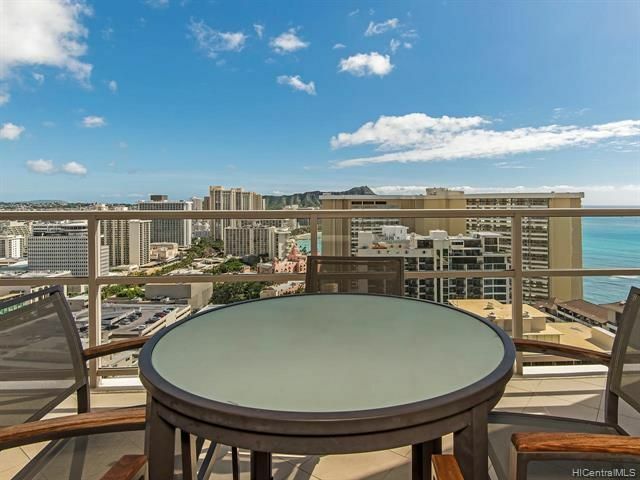 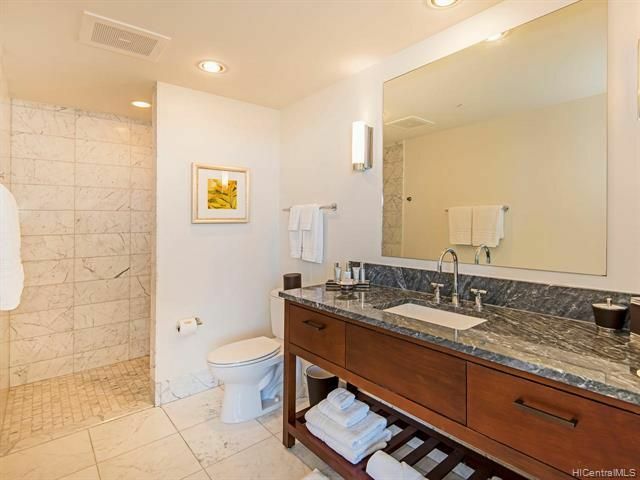 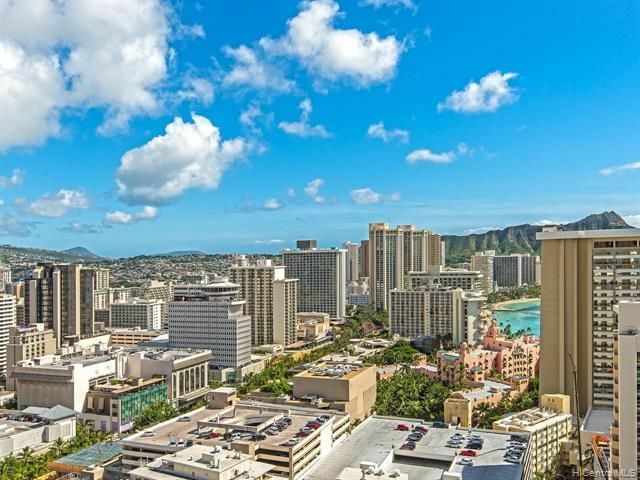 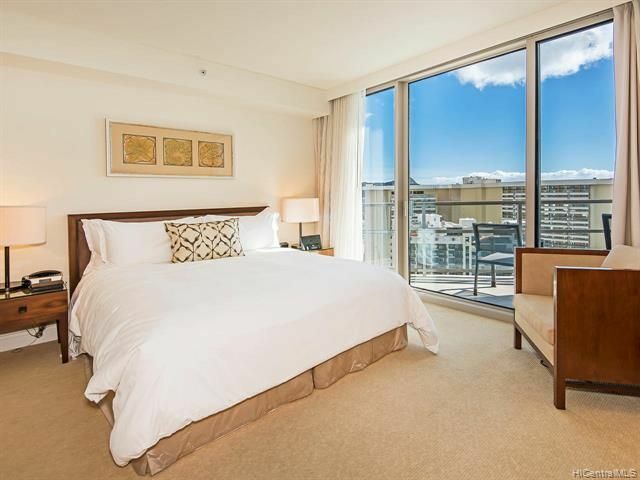 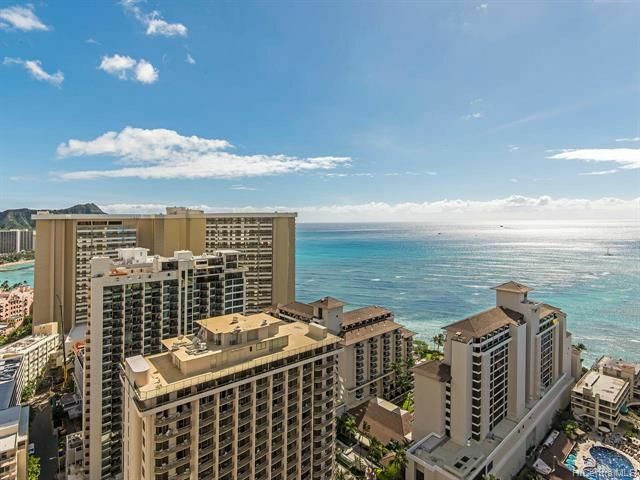 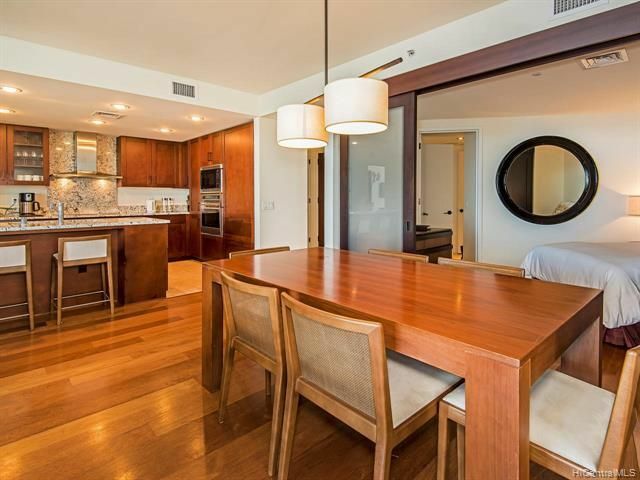 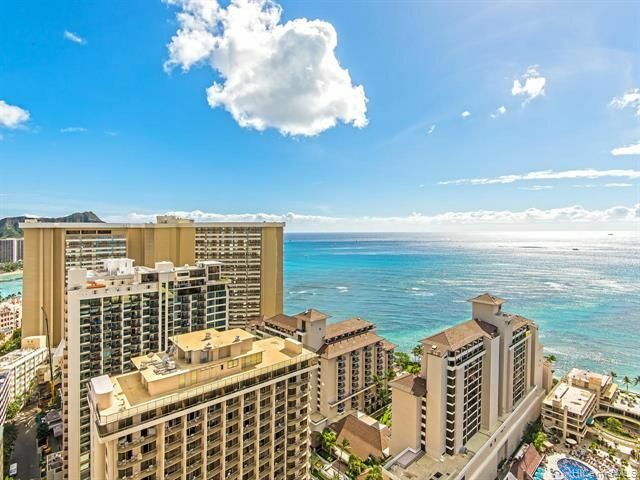 Beautiful Ocean & Diamond Head Views from this High Floor 2 Bed+Den/3 Bath unit with over 1,500 SqFt. 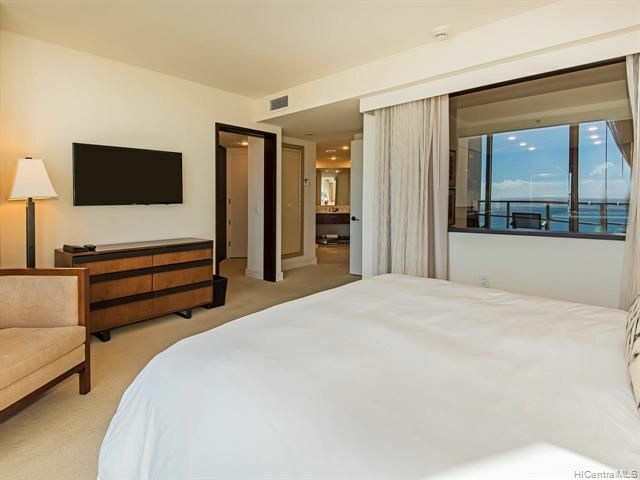 Glass panel between the bedroom and kitchen for more light and ocean view. 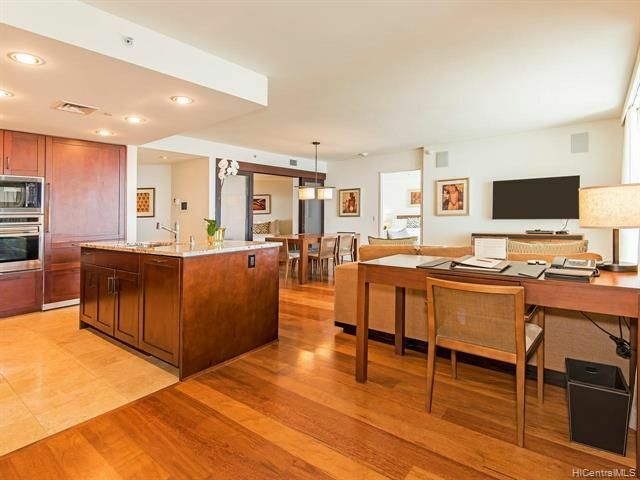 Hardwood flooring throughout the kitchen and Den area. 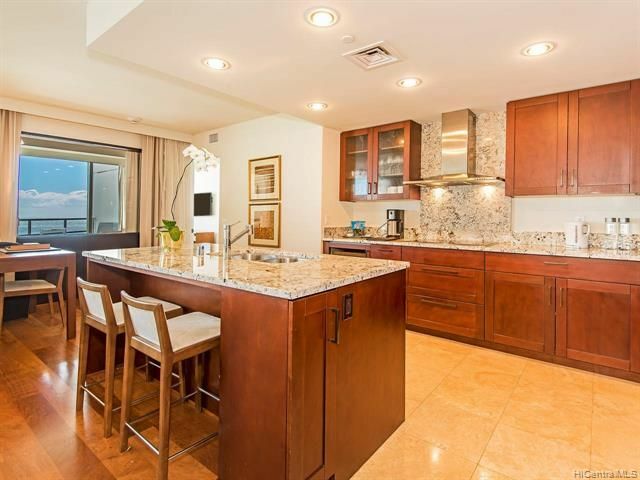 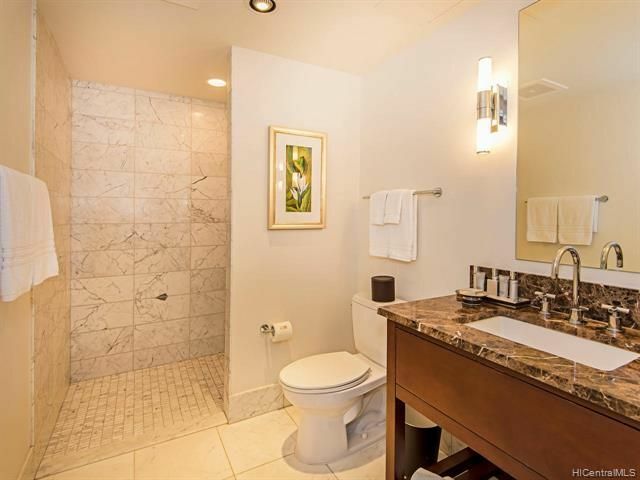 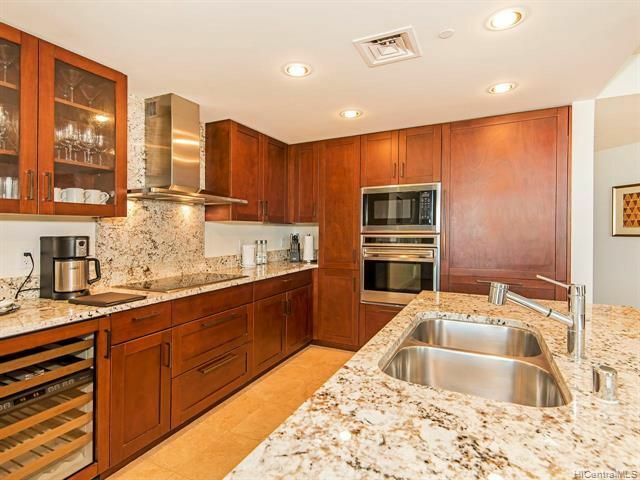 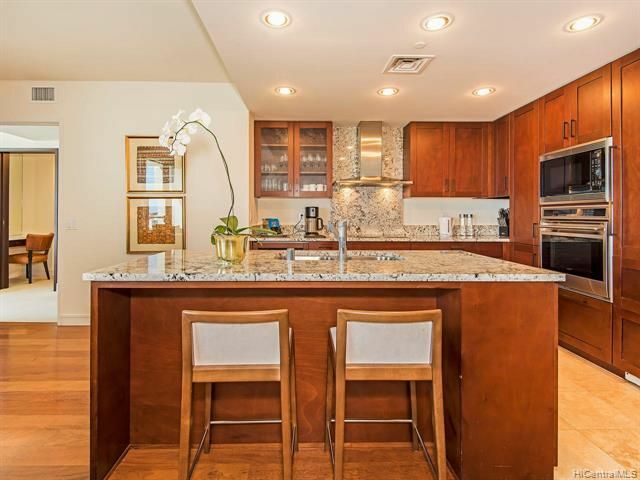 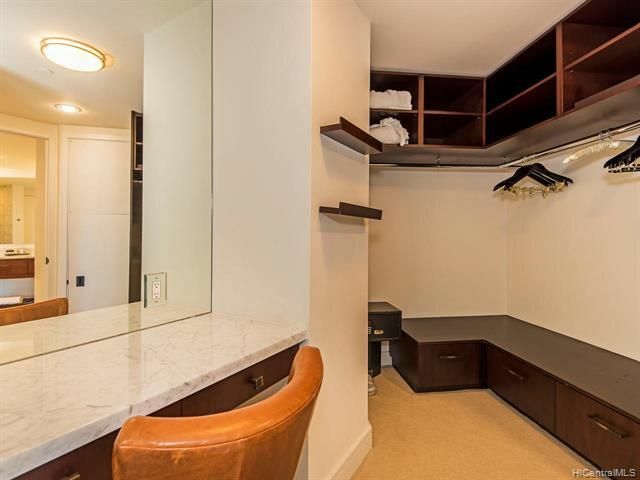 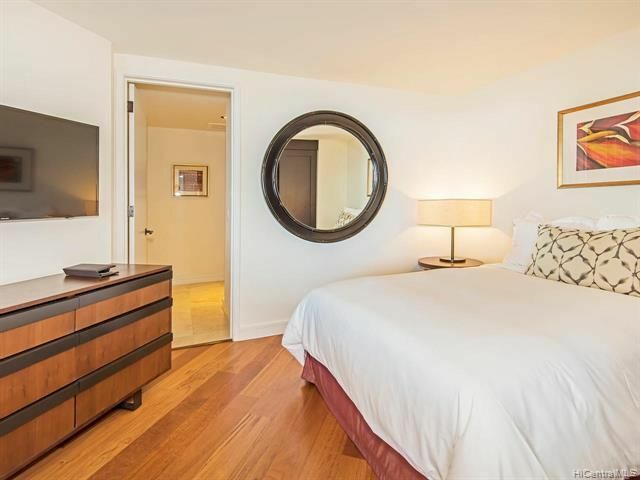 Fully furnished and includes upscale appliances and granite counter-tops, kitchen wares, bath amenities, and linens. 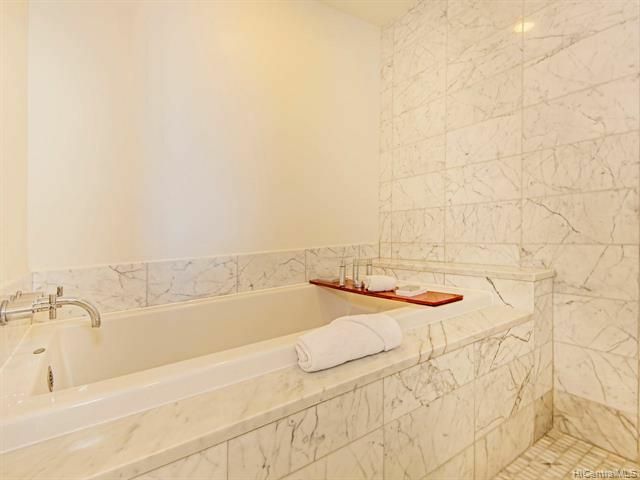 Within the hotel is a state-of-the-art fitness center and spa. 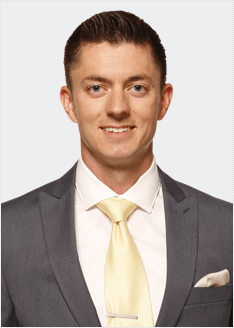 A very devoted concierge service and valet parking service.